Our Amazing Sparkler 52 X 52 inch quilt. Perfect to have around for patriotic festivities. Makes a great wall hanging or table topper. The kit features American Flag Precut Kaleidoscopes. 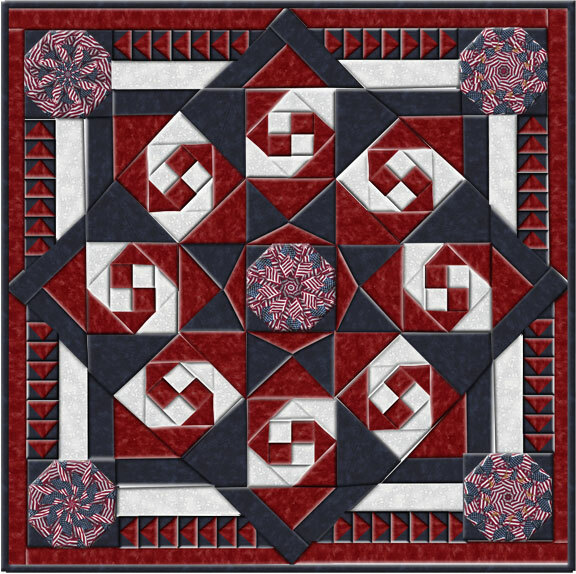 This kit includes 5 precut kaleidoscope blocks and the fabric and instructions to make this stunning quilt top.